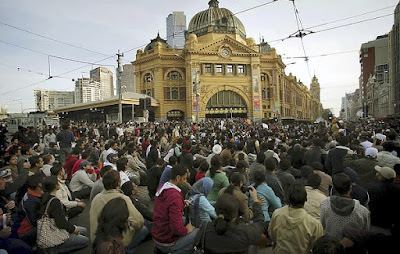 The recent turmoil and melodrama about the racial abuse and attacks on Indian nationals in Australia is making a lot of unwanted noise. Its all a hoopla state for politicians on both sides with our desi leaders 'enraged' and 'appalled' at the vicious crimes being committed on our citizens abroad. Even the least figure you could imagine, the sinistral and senile Thackarey man launched his prophecy the other day, warning the Oz to tackle the issue or pay the penalty. Yo man, you rock! Encroaching on the absolute limits of shameless hypocrisy, this last one by Thackarey, by far the most sectarian leader we have ever managed to produce in our country, who has no soul-prick in murdering Indians in the name of language, region and caste. And how he has come out all guns blazing for our countrymen...Makes me swell with pride. 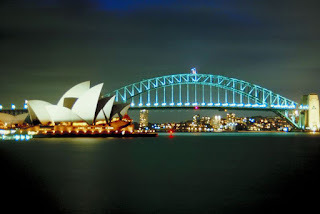 Incredible as it may seem, Australia is one of the most multi-cultural regions of the world. Put aside Times Square, NYC, you'd come across almost as many ethnicities of the human species on the whereabouts of Opera House, wondering how quickly the country has moved forward to shed its tag. So why hasn't it, yet? Nobody denies the blunt fact that racism exists in Australia, as it does everywhere. The isle may still be carrying forward a few malicious traits as old British convict land. That could be hard to erode, especially when you talk about Aussie culture and that pot of yogurt, as the joke goes. Many arrogant young minds think its fun to go 'curry bashing' because Indians are easy targets. Australia knows perfectly that its image has been dented outside and will be only too keen to get things patched up. Talking about Indian community in Australia, they belong to two broad groups, just two groups... Too bloody easy for us to understand as back home we're used to categorizing people on the basis of caste, colour, creed, language, profession, region, sexual orientation and what not. In Australia the Indian contingent consists of the Working class consisting of the professionals in the medical, engineering or IT fields and the Student Community, who gets the short end of the stick now-a-days. It is important to note that this student class doesn't include the children of the professional Indians, who're well integrated and naturalized with the local community. And these two groups are like chalk and cheese...They seldom mix. In fact most of the former class, nearly 2.5 lakh of them, looks to avoid the above mentioned student group for pretty apparent reasons. Isn't there an obviousness when you see that its predominantly the student community (96,000 in number) who make news for wrong reasons? When squarely pointing a finger at the Aussie authorities it may be prudent to be aware of the other 3 fingers pointing back at ourselves. A small chunk of this student community behaves as if they're in their grand-dad's backyard carrying on with the same ignorant behaviour unacceptable to the community they're living in. Being rude and ignorant towards natives, being loud, filthy and scant disrespect for the culture of the country they're in, these students naturally invite trouble. To add on, many of these student groups live in shanty suburbs, work unsocial hours and end up soft targets for the criminals. There has been no definite evidence that all the recent attacks down under are racially motivated, though some definitely appear so. Its also crucial to note that many of the perpetrators belonged to other ethnic groups like the Lebanese. Australia is facing a crisis in their coal-mining sector and many people working in those areas are relocating to the cities. Jobless mass-migrants alien to a city is a recipe for trouble. The situation gets ugly when these youngsters rub shoulders with the immigrated folks from the sub-continent who're hardly modest in their attitude. A small group of ignorant Lebanese youth triggered the 2005 Cronulla riots. If the situation gets out of hand then it will be the innocent and decently living people who may have to pay the price for the stupidity of a few lost souls. With more help from the likes of the outspoken Mr. Thackarey and actions like burning the effigy of Kevin Rudd, we're creating a toxiferous potpourri for our own countrymen in Australia. Has any of those responsible from our country made any open remarks against the inhuman treatment meted out to Indians in the Middle East? Indians, including millions of Keralaites are officially second or third class citizens and are subjected to racial vilification, abuse and injustice in the oil fields, docks and even on streets in UAE, Saudi Arabia and the likes. The Air-India stow-away Habib's tale is a testimony to the sufferings of our countrymen in the Arabian desert. Thousands of desperate man work under scorching sun, shut away in labour-campesque living conditions, their passports frisked away and paid paltry salaries. Modern day slavery, but I don't hear any concerned voices. Not even NRI Minister Vayalar Ravi who was very vocal about Australia. We have Embassies, we have High Commissions, we have exclusive Ministries and Ministers but they keep their trap shut. We can't rub the Arabs the wrong way because they'll close their doors to us, damn sure. The West is multitude times more civilized, more moderate, more fair. 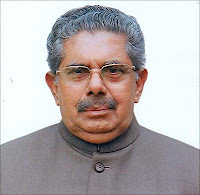 Vayalar Ravi knows the fact only too well. The knee-jerk reactions in relation to the Australian situation raises more uncomfortable questions. India has the right to raise voice when their citizens are under danger overseas but the way the media reacted has been pretty much depressing. The latest ku-klux-klan cartoon was a sick sick joke and it has done no good for the two nations than sparking more unrest and enemity. The kkk word is considered more offensive in the West than our own Congress Party officially and openly branding Speaker Meira Kumar as a 'Chamar'. The pompous media who panted with breathlessness 'racism', 'racism' every time a student gets attacked in Oz made matters worse through their unmediated, unprofessional and inaccurate reporting. 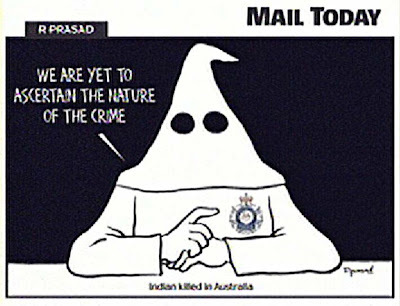 The one good thing the media managed to do is to force the Aussie authorities come out from their denial mode, and accept the all-too-clear fact that strands of racism still infest their society. But even seasoned observers, bloggers or politicians now look down on Australia as an evil land-of-bigots where everyone with pigmented skin is under serious threat. How we comfortably forget the above mentioned Middle East reality or rather how handsome we look in the mirror. Shashi Tharoor appears to be the lone person who has taken note of the current. Tharoor praised Australian efforts to end the violence but said he could not say with certainty that Indians were no longer being singled out for assault in Australia. The enigmatic leader identified the problem as that of law and order, " one that Australia is dealing with and needs to deal with internally. But it cannot but affect us when our citizens are reported to be suffering", he said. "For an Indian mother to hear that her son has been assaulted in Australia, it little matters to her whether he was assaulted because of his race, or because he was in the wrong place at the wrong time, or because he was the wrong colour or the wrong height, or was carrying an iPod. She doesn't want her son to be assaulted," Tharoor said, appealing to the media-folks on both sides to show restraint while attributing colours and adjectives while reporting such events. 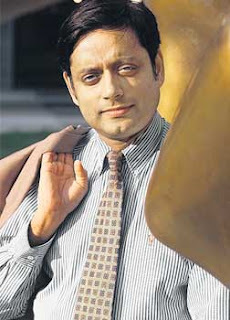 Read Tharoor's full statements here. Remains to be seen how clearly the Indian and Aussie press folks take his words. Comment moderation enabled for the post.